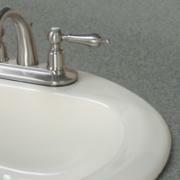 Solid surface countertops allow you to choose from all three sink mounting options, and a variety of sink materials. Look here to see some options, and remember that we can always install whatever sink you choose in your solid surface tops. 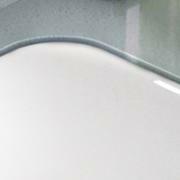 This sink style is very clean looking, and easy to maintain. It mounts under the counter top, making cleanup a breeze! This sink style is very clean looking, and easy to maintain. 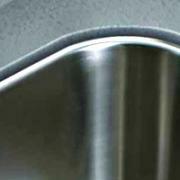 It features a smooth seam between the counter and the sink without any lip.